Have you ever tried to download movies on KeepVid.com? It is great, right? Yeah, KeepVid is one of the famous free video download sites which allows users to download streaming videos from YouTube, Dailymotion, Google Video, Metacafe, Vimeo, etc. This easy-to-use tool has gained much popularity among users. However, things may not always go along the lines. KeepVid doesn't work correctly and smoothly. 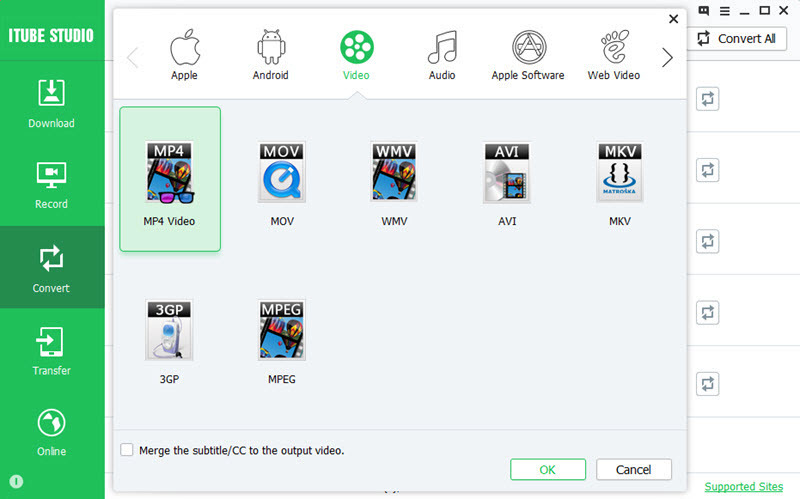 And it's KeepVid not available on Mac OS X till now since it needs Microsoft.Net to work. And KeepVid requires Java for the assistance in fetching download links. It will stop working if Java is disabled in your Safari. What's more, this program doesn't support batch download, which means that you have to download your favorite videos one by one. Undoubtedly, it is time-consuming. If you want to get a program similar to KeepVid to download videos on Windows and Mac OS X, then you're definitely right being here. In this article, we'll introduce you the ideal KeepVid alternative that can make up for the vacancy for you and help you download and convert videos from YouTube and other online streaming sites with ease. 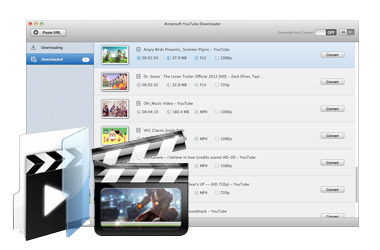 Among the numerous kinds of Keepvid alternatives for Mac, Aimersoft Video Downloader for Mac is particularly prominent. 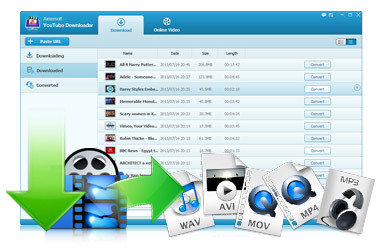 It is an all-in-one online video downloader and powerful video converter working on Mac OS X. 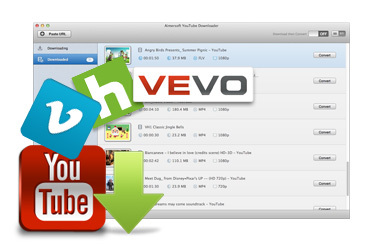 It is able to download streaming videos automatically from YouTube, Metacafe, Vimeo, Dailymotion, Megavideo, Hulu and more. In addition, you can convert the downloaded videos to almost all popular formats as well as extract audio from the videos with ease. All you need to do is merely a simple click. And it supports batch download and allows you to download up to 8 videos at one go. 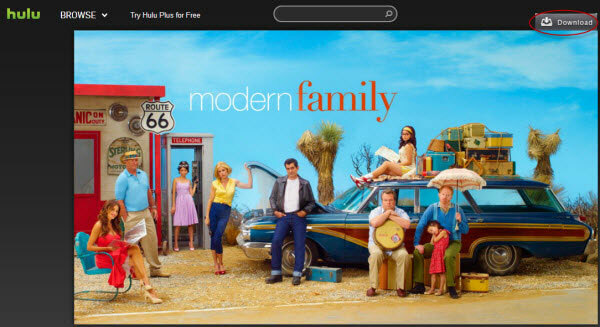 Save videos from a variety of sites with a preferred resolution.You can also download the entire playlists, 1080P and 4K videos from YouTube in one click. It supports almost all the popular file formats like MP4, MOV, WMV, MKV, etc. You can convert YouTube music videos to MP3 for playing on your iPod. You can convert your files to fit different devices and players like iPhone, iPad, iPod, PSP, HTC, Samsung, Zune, Zen, Archos, etc. The program is equipped with video player, enabling you to enjoy your videos the moment they are downloaded. Three simple ways to download videos from websites. Download videos in batches 3X faster. 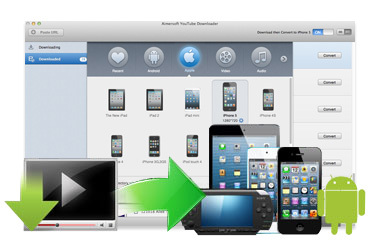 Convert videos to any format you like to fit various devices. 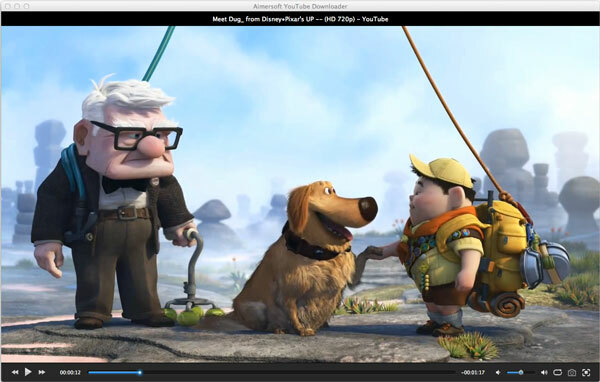 Watch videos with the built-in player in HD picture quality. Aimersoft also provides Windows users who were bothered by the blocking of KeepVid.com with a KeepVid alternative for Windows (Windows 8 included). That is Aimersoft YouTube Downloader which combines online video downloader with video converting tool in one program. Batch download and convert are supported. This program is compatible with a large number of video sharing websites, such as YouTube, Vevo, Vimeo, Hulu, CBS etc. You can even download the entire YouTube playlists and 1080P YouTube videos with this fabulous tool. In addition to downloading videos on Windows-based computer, you can also convert your files to almost any format you like so as to fit many mobile devices and media players. It supports downloading videos from a large number of websites and allows you to download YouTube playlists and 1080P videos with one simple click. You can convert the downloaded videos to any format you like. Nearly all the popular media file formats are well supported. It offers the presets for many portable devices like Apple products, smartphones, game consoles and more. The biult in video player provides you with an amazing experience. You can take snapshots as you wish. Download this KeepVd equivalent to Windows and take the steps below to get the videos you are longing for. Run the program and open your web browser to navigate to your favorite video sharing site. You can also enter the website via the built-in browser by clicking the Online Video tab. Find the video you want and play it online. 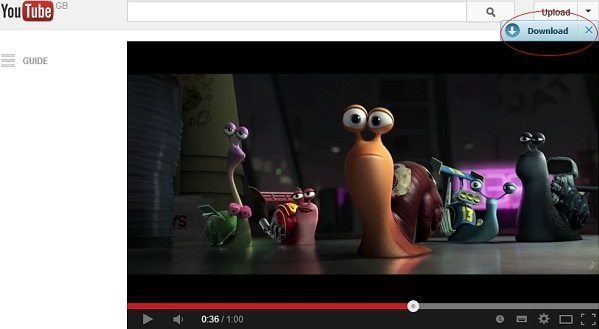 Then you will see a Download button appearing on the top right corner of the video window. Click the Download button to save the video to your computer. Or you can also copy the video URL in the address bar and then click the Paste URL button on the top left corner of program's interface. Either of the above two ways can add the video to the download queue. Note: To check the download progress of the videos, you can hit the Downloading tab on the left side. You can convert the downloaded clips according to your needs. To do this, please hit the Downloaded tab on the left side and then find the video you want to convert from the list. Then click the Convert button next to target clip to activate the output interface. 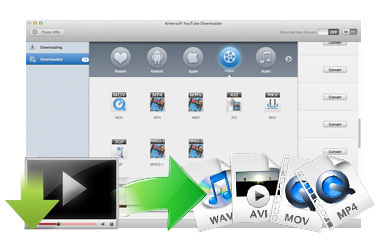 Aimersoft YouTube Downloader for Mac embraces a simple interface and is easy to handle by skillful users as well as novices. Follow the steps below to download online videos now! After launching the program, you then need to visit the video sharing sites to search for the videos you are going to download. Play them in Safari, Firefox or Chrome. When you mouse over the video, a Download button will appear on the right corner of the video window. Copy and Paste: copy the video URL in the address bar and resume to the program and click Paste URL. Drag-n-drop: Directly drag the video URL from the address bar to the program. After the videos are downloaded, you can find them under the Downloaded tab. To convert a video, simply click the Convert button and then you'll see a format list. Select a video format like WMV, MOV, MP4, etc. as the output format or select the icon of a portable device to get videos with optimized settings for iPhone, iPad, iPod, smartphones, etc. Note that this built-in converter offers optimized presets for different mobile devices. Extracting audio from the downloaded videos is also supported.